Section 6 shows the southern part of Oceanus Procellarum and Mare Nubium (Sea of Clouds), with the crater Copernicus dominating the bottom of the section. 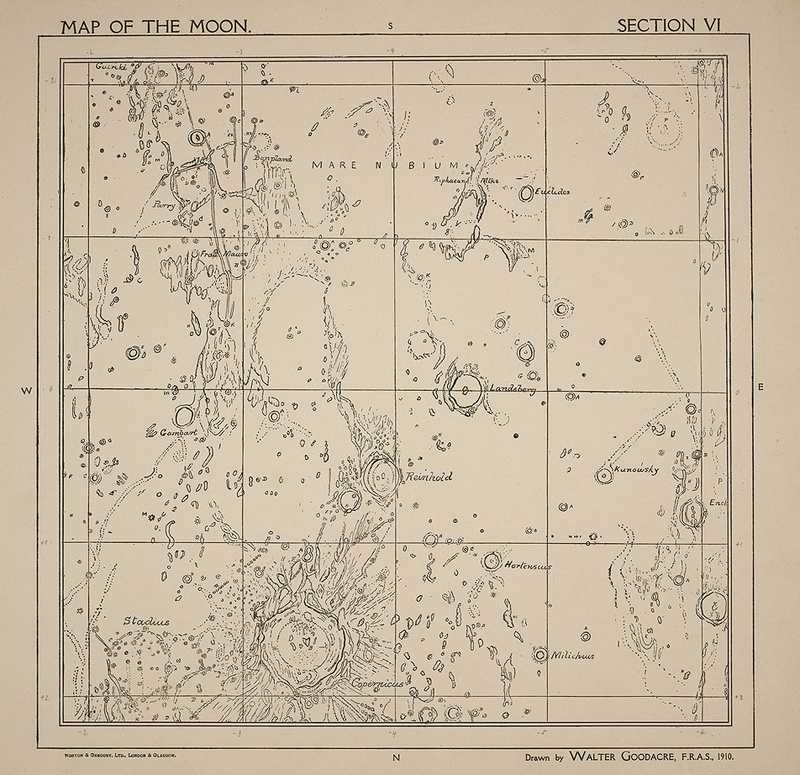 The region depicted contains several sites that would later be visited by spacecraft: Surveyor 3 landed in the open space above and to the left of Lansberg in 1967, and three years later Apollo 12 touched down just 600 feet away. Apollo 14 landed at about the same latitude, further to the left, just below the formation (and the words) Fra Mauro.